Okay, confusing name. And so long. I actually owned this ink for more than two months before I figured out I had been using the wrong shorthand name for it. I had been calling it Montblanc Blue Hour. Which I think would have been an excellent name, by the way. And the box does say “Meisterstück Blue Hour.” But that seems intended to identify the ink as part of a Blue Hour limited edition collection. 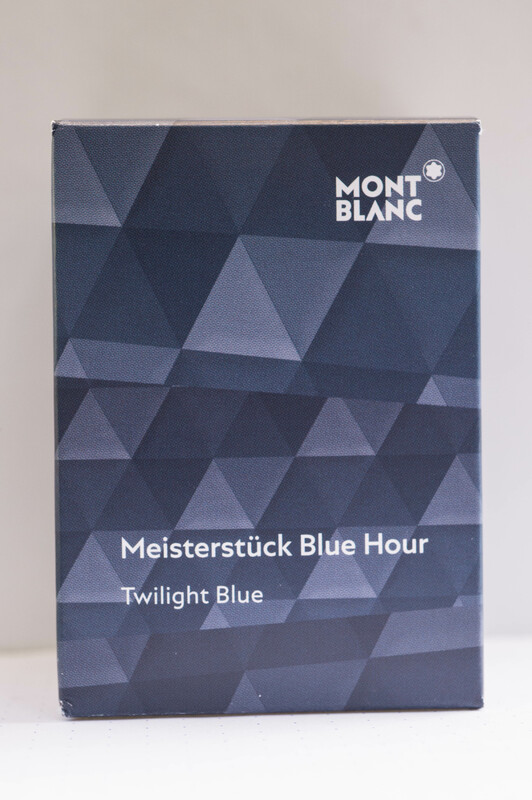 Because underneath that, Montblanc adds “Twilight Blue.” And the Montblanc USA website calls it “Montblanc Meisterstück Blue Hour, Twilight Blue. So. Okay. I will call it by its correct name now. Blue Hour Twilight Blue costs $16 in the US and comes in Montblanc’s standard 30 ml square bottle for limited edition inks other than Writers Edition inks. I actually bought mine in May from the Netherlands, so I have been using it for a few months now. This pretty ink does shade very well. 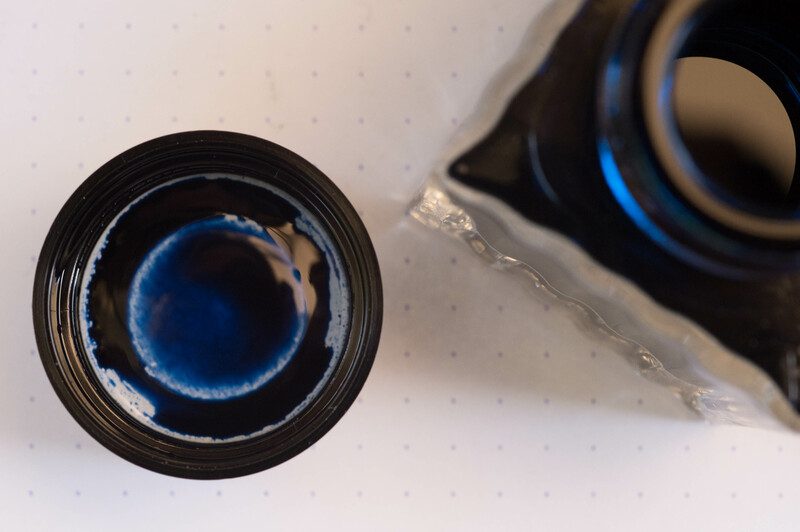 The ink’s color is a lot like the trivial Parker blue black, but definitely more saturated (although the hue is very similar) and capable of shading. And although it lightens as it dries, it does so much less dramatically than Parker blue black. If you like teal, this is one of the best got-to inks available. I want to like the ink, but it is so similar to Tsuki-Yo that it hardly seems worth it. I much prefer the JFK ink. The shading is really dramatic, especially with a wet pen. This is one of those inks that the more I use it, the more I like it. Agree with Chrissy, even though I prefer blue-heavy blue-blacks (god I’m a geek) this makes me see big puffy hearts 🙂 And holy wow, look at all that shading!